By March 31, 2019, Rs 1 lakh crore worth of work will be under implementation under the Smart Cities mission, ministry sources said. 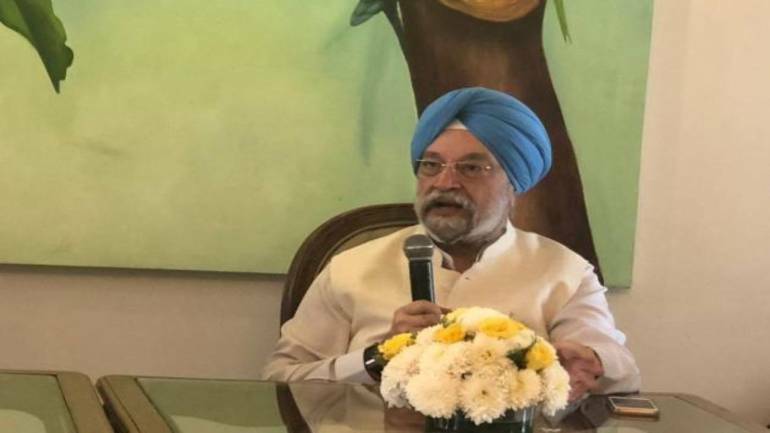 As many as half of the smart cities' integrated command and control centres are expected to be ready by 2019, Housing and Urban Affairs minister Hardeep Singh Puri said on November 5. "Currently work worth Rs 49,000 crore is on. We already have 12 command and control centres functional. Another 26 are in the pipeline and 22 are under tendering process. By December of 2019, a good three years before the scheme is to end, we will have 50 out of 100 centres fully functional," he told reporters. The ministry has announced 100 cities for central assistance under the BJP government's flagship programme. It was launched by Prime Minister Narendra Modi in June 2015. As many as 98 Special purpose vehicles (SPVs) have been constituted to execute projects in cities selected under Smart Cities Mission. The Smart City Centre (SCC) (i.e. Integrated Command and Control Centre) functions as a city’s nervous system where digital technologies are integrated with social, physical, and environmental aspects of the city, to enable centralized monitoring and decision making. Each smart city has an SPV, is headed by a full time CEO and has nominees of central government, state government and urban local bodies on its board. Under the mission, cities have proposed to take up various projects, including "smart" roads, rejuvenation of water bodies, cycle tracks, walking paths, smart classrooms, skill development centres, upgrading health facilities, and pan city projects like integrated command and control centre. Commenting on India’s improvement from 100 to 77 position in World Bank's Ease of Doing Business ranking released on October 31 that was made possible due to improvement in granting of construction permits where it has moved to 52nd position this year from 181, Puri said "we hope to take it number 10 position by next year." "This has been made possible because we have come down with a sledge hammer to all the problems that existed when you apply for a permission to construct a building. We have been able to resolve most of the issues. In 436 AMRUT cities, we now have online business construction permits," he told reporters. In its annual report 'Doing Business' 2019 report, World Bank said India improved on six of the 10 parameters relating to starting and doing business in a country. India jumped 23 places to the 77th position in the ranking.